The 3rd Annual Beat the Heat Readathon Kicks Off! Beat the Heat Readathon Wrap Up! BtH Readathon Mini Challenge: Guess That Book Title! 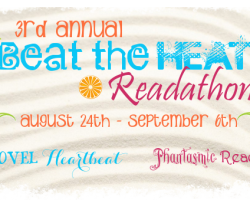 The Beat the Heat Readathon Kicks off!